Since the announcement of Prince William's engagement to his longtime girlfriend Catherine Middleton, it has come to my attention, that one day, if the monarchy in England continues past the current Queen, Catherine will be the sixth woman of that name to be Queen of England. So, I thought for fun, I would give brief histories of the first 5 Queens of England named Catherine. The first Catherine to marry a King of England was of course Catherine de Valois (1401-1437), younger daughter of Charles VI of France. Catherine's older sister had already been married to a King of England, Richard II, before his untimely death. 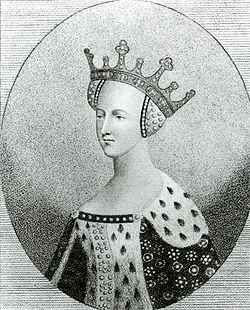 Catherine was married off to Henry V of England as part of the treaty between the two countries, which acknowledged that Henry as heir to the throne of France. Most of you have seen either the movie or the play HENRY V, no doubt remember the charming wooing scene between Henry and Catherine as he tries to speak French to her. Catherine and Henry were married on June 2nd 1420. After her arrival in England, Catherine was crowned Queen at Westminster Abbey in February of 1421. 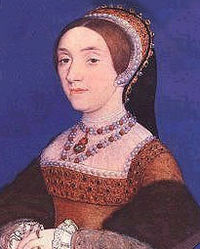 Before long, Henry had left his new bride to continue to wage war in France, leaving Catherine several months pregnant. After giving birth to the future Henry VI of England in December of 1421, but Henry never saw his son. He died during the seige of Meaux in August of 1422, leaving Catherine a widow at 20. During the years of her widowhood, there were rumors of the Queen remarrying which concerned the King's uncle, Henry Duke of Gloucester who was serving as Protector. 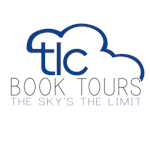 Catherine eventually found love again in the most unlikely of places, with Owen Tudor, a handosme Welshman, who served as the keeper of the Queen's wardrobe. The relationship apparently began while Catherine was living at Windsor Castle. Nobody knows where or when the two were married. The couple eventually went on to have at least five children, four who lived to adulthood, Edmund, future father of Henry VII, Jasper, Owen and a daughter Margaret. Catherine died at Bermondsey Abbey in early 1437 from an unknown illness. She is buried in Westminster Abbey next to Henry V. After her death, their enemies had Owen arrested for violating the law of remarriage for the Dowager Queen. Although he was acquitted of those charges, he was arrested again and his possessions seized. Eventually he was released, and was in the Household of the King at least until he was arrested and executed by the Yorkists after the Battle of Mortimer's Cross. I've always found the love story of Catherine and Owen to be incredibly romantic, two star-crossed lovers who marry secretly and found a dynasty! Our next three Queen Catherines were all lucky enough or unlucky to be married to that serial monogamist Henry VIII. 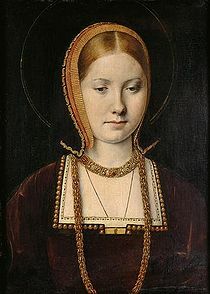 Above we have his first wife, Catherine of Aragon (1485 - 1536). Raised to be Queen of England, widowed at 16, forced to endure years of poverty and humiliation before marrying Henry VII, this determined and pious woman finally after years of disappointment gave brith to a healthy daughter, the future Mary I. You have to admire her nerves of steel as she fought to hold onto her crown when Henry was determined to divorce her. I always found it so harsh cruel that Henry denied her access to her daughter, keeping them apart as punishment. Poorly done Henry! Here we have pretty, silly Catherine Howard (1524-1542) who lost her head barely two years after marrying Henry VIII after he discovered that he wasn't the first man to enjoy her charms nor the last as the case may be. Sigh, the poor girl should have lived a long life as the wife of some minor nobleman if it hadn't been for the ambitions of her uncle Thomas, Duke of Norfolk who saw a chance of putting another niece on the throne. I've always admired the fact that she asked for the block to be brought to her at the Tower so that she could practice laying her head down with dignity. Still, 18 is too young to die. Finally, Catherine Parr (1512-1548), the one who outlived Henry VIII. 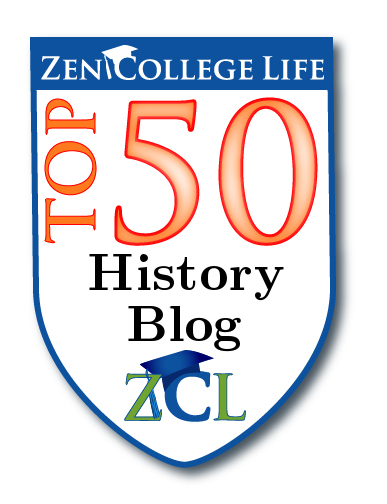 This twice-widowed, highly intelligent woman didn't want to marry the King. She had her heart set on Thomas Seymour as her third husband, finally getting a chance to marry who she wanted, but fate stepped in and she spent 4 years playing nursemaid to a cranky old man, and giving her stepchildren a loving home. However, she did get to be the first Queen consort of Ireland, and she managed to turn things around when it looked like she might end up like wives 2 and 5. Finally with Henry's death, she was able to marry the man she loved. Unfortunately she didn't get much of a chance to enjoy her happiness. Her husband turned out to be a jerk, spending his time playing slap and tickle with the teenage Princess Elizabeth who lived with them. 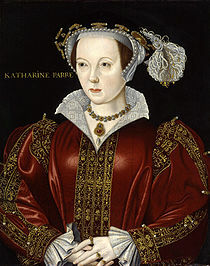 Catherine died soon after giving birth to a daughter. 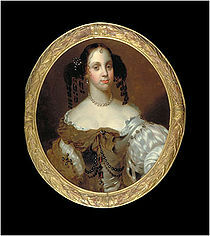 And finally we come to our last Catherine of Braganza (1638 - 1705), the wife of the Merry Monarch Charles II. This Portugese Princess who could trace her lineage back to John of Gaunt, was not popular at first, being Catholic and unable to speak English. She also left a lot to be desired in the fashion stakes, arriing in England with an unfortunate hairdo like batwings. 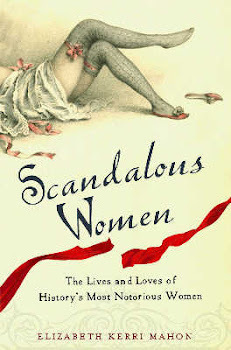 No sooner had she set foot on English soil then she was confronted by the revelation that not only did her husband have mistress, the beautiful and sensuous Barbara Palmer, but that Catherine was forced to accept her as one of her ladies. Quelle horreur! 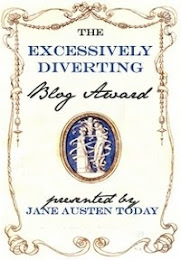 It can't have been easy for Catherine, she was madly in love with her husband, but she had to share him with many mistresses who seemed to give birth every few minutes, while Catherine suffered at least two miscarriages. Charles was fond of her, and insisted that she be treated with respect. Despite not being able to bear the much needed heir, he refused to divorce her. Over time, Catherine managed to win over her subjects by her quiet demeanor and her loyalty to the King. As part of her dowry, Catherine brought Tangiers and Bombay to British control. She also introduced the custom of tea-drinking to England, which had been popular in Portugal for some time, as well as introducing the use of the fork to English dining tables. After her husband's death, Catherine initially remained in England, living at Somerset House. She tired to intervene with James II for the life of James, Duke of Monmouth, her huband's illegitimate son after his rebellion but to no avail. She returned to Portugal in 1692, when anti-Catholic sentiment made life uncomfortable in England, where she acted as a regent for her brother Peter II. She died in 1705 and is buried in Lisbon. Hopefully the future Princess William's life as a member of the royal family won't be quite as dramatic as the lives of these 5 women! I hope her life is much calmer as well - they look so happy in that picture! Don't they? I was looking at Hello magazine's site which has photos of royal engagements in the past and they look so stiff and formal. Kate and William look relaxed, happy and more important in love. I loved the Catherines' short story, and I wasn't really aware that there have been 5 Catherines - and three of them were Henry's wives! Interesting. Thanks Malena! I wasn't aware of it either until I counted. I've always wondered if Henry just had a thing for women named Anne & Catherine or was it just that they were incredibly popular names! I actually used to have a hankering to marry Prince Andrew, and I totally would have made a better Duchess of York than Fergie.